Elliotts is challenging schools across Hampshire and Dorset to design an outdoor living space for their grounds, inspired by the launch of Elliotts Living Spaces, a collection of quality kitchens, bathrooms, landscaping, flooring and finishing touches for the home. Whether they would love a pond, a quiet area to relax in or a new section to play in, the south coast builders merchants have asked school children in years three and four to submit their best designs with the aim to transform an underused space in their school grounds. The winning school will win up to £5000 worth of materials to build their design, and Elliotts staff will donate their time to help with the construction. Pupils can draw up their ideas in teams or individually and the schools should submit their favourite to be judged by Elliotts’ expert panel. The Elliotts Living Spaces team will pick the winner, create technical drawings from the school children's plans, assist with specifications and arrange for the materials and products to be delivered to the sites. Elliotts staff will also give up their time and expertise to help the schools build their space. Schools who would like to enter the competition are urged to email elliotts@carswellgould.co.uk with a contact name, number and email address. They have until 1 July to submit their designs and a description of how they will use the outdoor area, when the judging panel will pick the winning design. Four finalists will also win a framed commemorative drawing of their designs to hang in their school. 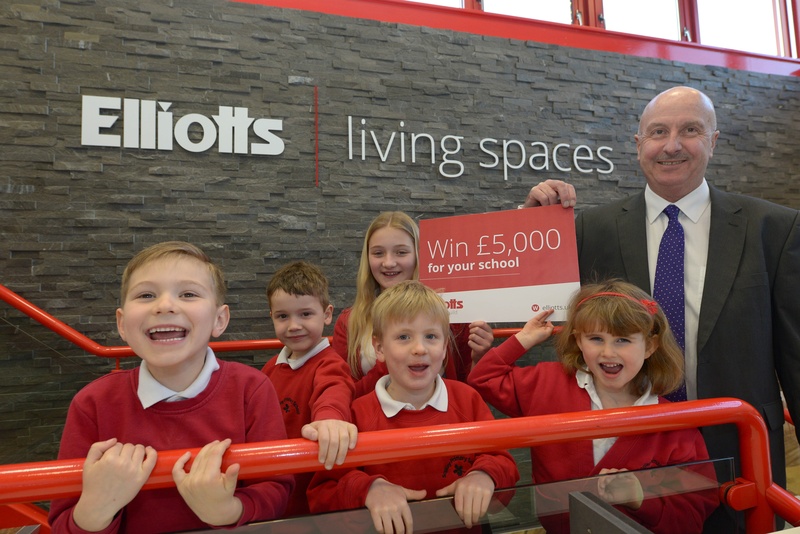 Tom Elliott, managing director of Elliotts, said: "We're challenging the landscape designers and urban planners of the future to come up with innovative and interesting designs to brighten up a corner of their school or local community. We want to hear from schools how a small change to their space could make a big difference to their pupils. "With 13 branches on the south coast, these schools are the schools that our staff and customers' children attend so we wanted to use our expertise to give something back to these communities." This competition is one of many community projects Elliotts has taken part in the past year, including sponsoring local sports teams Bitterne Youth F.C. and Fordingbridge Rugby Club, Hyde Band and the Ringwood Carnival. In 2015 Elliotts was awarded the top prize at the South Coast Business Awards in recognition of its commitment to the region.